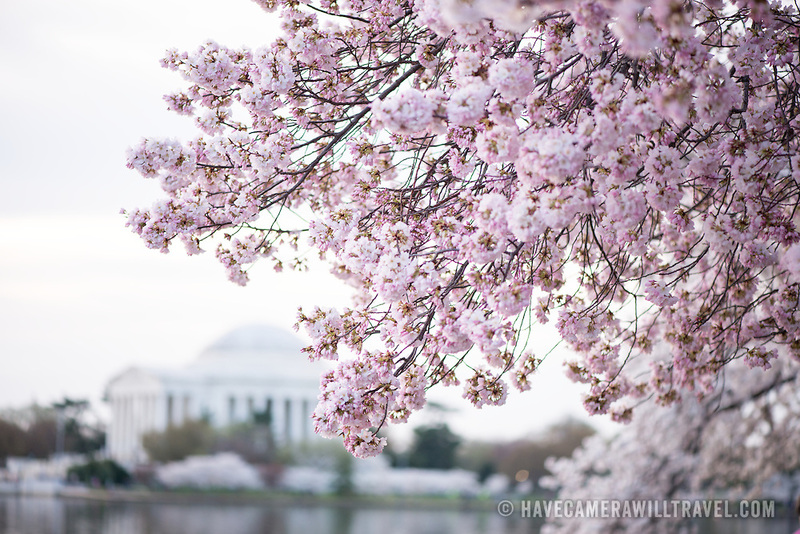 Washington DC's cherry blossoms in full bloom around the Tidal Basin. Some of the oldest trees are now over a century old. The Jefferson Memorial is in the background.